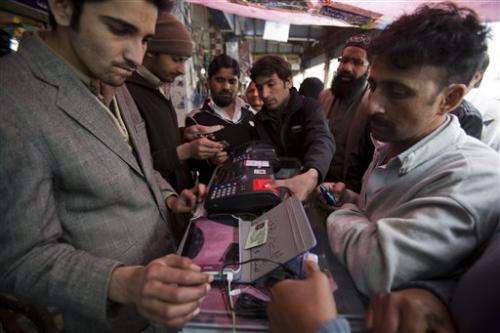 (AP)—Almost every Pakistani citizen has a cellphone, but from now on, Big Brother is checking to make sure their name, number and fingerprints are on record. The measures are meant to tighten control of cellphones and avert their use for militant attacks after the Taliban massacre two months ago at a school in Peshawar. 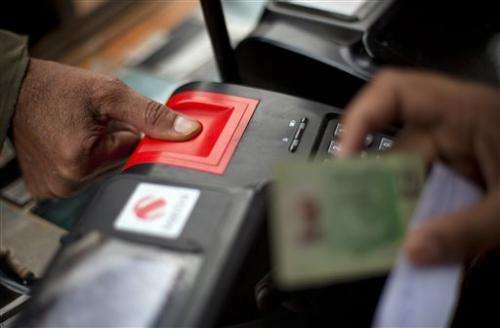 As for cellphones, the government last year introduced biometric machines designed to check users' identities—making the check mandatory for anyone who wants to get a new SIM card. "Those who have some bad intentions and are misusing cellphones will not turn up for this verification. 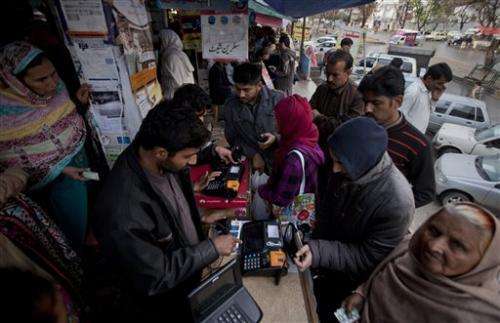 They know how to get their way," said Hussain Khan as he waited in line at a cellular phone company office in Islamabad. He said he had been there for 10 minutes and expected it might take another 30 to get to the front of the line. Badshah Hussain, a 38-year-old vegetable vendor, was a bit more upbeat. "This will not only help curb crime and terrorism but also protect people from ... problems and troubles," he said. For example, no one could use his name to illegally get a SIM card and then commit a crime, he added. Cellphone companies will hold on to the scanners so that future SIM card buyers can be verified in the same manner, according to two PTA officials who spoke on condition of anonymity because they were not authorized to speak to the media. The former head of the National Counter Terrorism Authority, Khawaja Khalid Farooq, said the verification could help authorities trace cellphone users who commit crimes. Previously, he said, SIM cards were often issued on fake ID cards. But he cautioned that oversight had to be consistent going forward and warned that criminals and terrorists always find new ways to cheat the system.